It has been said by many that Sarasota is all about the water. The Gulf of Mexico, Sarasota Bay and numerous canals in the area provide residents and visitors of Sarasota with outstanding vistas of nature's beautiful resources and luxury Sarasota waterfront real estate. Developers knowing that a waterfront view increases the value of a property have also created lagoons, ponds and pools for even more waterfront choices. Gulf of Mexico properties are found on Casey Key, Siesta Key, Longboat Key, Lido Key and mainland Sarasota Florida. Many of these waterfront homes are large private gated estates. Beach cottages are harder to find and are priced most often at the land value. Sarasota Bay homes listed in the Sarasota MLS with boat docks are available for buyers searching for homes for the large boats. "No bridges to the bay" is a popular MLS search terms as boat owners usually don't want to maneuver under bridges and some boats are too large to clear a bridge. Some canal properties are tucked away on the keys and the mainland providing access to the intracoastal, the bay and the Gulf. Some of these canal front homes have full bay views. Again, bridges are a concern for boaters of large boats, but if you have a smaller boat, these properties are priced well now and there is a great selection on the keys. 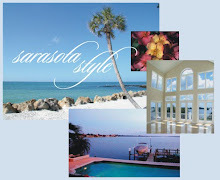 Homes with lagoon views are popular to homeowners in Sarasota as well as homes with pools or homes on ponds. The lagoon pool is one of the newest features available in Sarasota waterfront homes. If you think now is the time to buy a Sarasota waterfront home, contact Annette Smith at 941-504-3922 to view properties.